University of Malta (UOM) maintained their rich vein of form in the Gatorade League after brushing aside Qrendi 5-1 to edge closer to the teams challenging for the play-offs. It was an impressive performance from UOM who notched their fifth successive win and had new signing Freddie Mifsud marking his debut with a goal. Striker Leo Muscat grabbed a brace for the ‘students’ and Djordje Maksimovic and Andrew Camilleri were also on target. Qrendi, who suffered their second consecutive defeat, were on the mark through Ronald Spina. Swieqi FC cruised to an easy 7-2 victory over the Swieqi U-21 side to strengthen their grip on third place in the standings. The winners accomplished their assignment against their younger counterparts in clinical fashion to warm up for next week’s clash against leaders Luxol in the best possible way. Dimitar Petev and Veselin Ivanov each netted a double for Swieqi FC with the other goals coming from Redeemer Borg, Christian Wismayer and an own goal. Swieqi U-21 team, still rooted at the bottom of the table, had Timothy Gingell and Lydon Baldacchino hitting the target. In another match, Msida returned to winning ways thanks to a 7-1 victory over Safi San Lorenzo. The seasiders stunned their opponents with quick counter attacks to make sure of all the points at stake. Chris Cutajar and newcomer Mohammed Elamari netted two goals each while Liam Cachia, Floren Manea and George Frendo were also among the scorers for Msida. 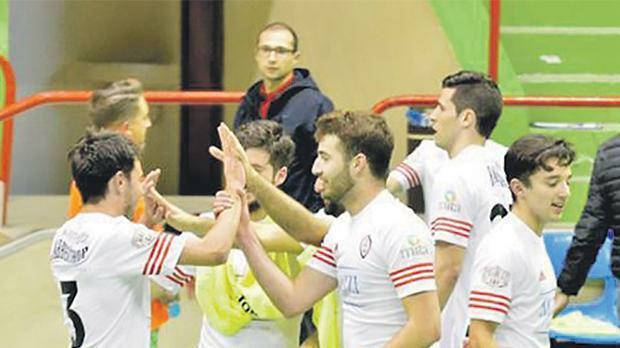 The league resumes today with two matches as Valletta play against Qormi Futsal and in the late kick-off, Marsascala face Mrieħel ESS in a predictable balanced encounter at the Corradino Pavilion. Luxol 24; Valletta, Swieqi FC 21; Ħamrun Tre Angeli, University of Malta 18; Msida 15; Safi San Lorenzo, Qormi 12; Sliema 10; Qrendi 9; Mrieħel ESS 7; Marsascala 6; Tarxien, Swieqi U-21, Żurrieq Wolves 0. Note: Valletta deducted three points for disciplinary measures.